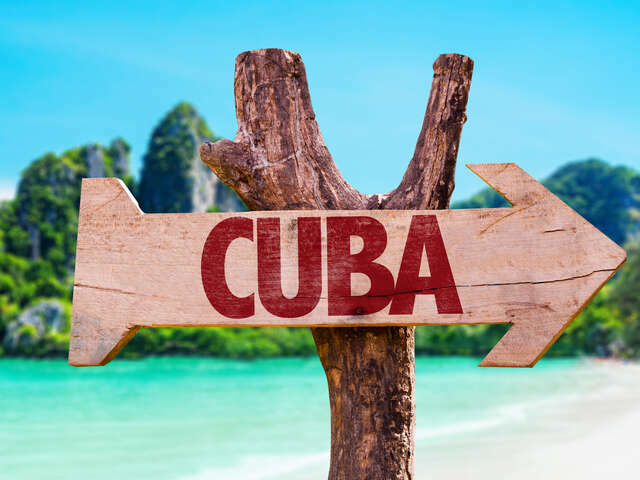 Cuba offers several vacation destinations where you can enjoy white sand beaches, colorful reefs and plenty of opportunities to relax and explore the outdoors. Cultural experiences are abundant too! Cuba offers several vacation destinations where you can enjoy white sand beaches, colorful reefs and plenty of opportunities to relax and explore the outdoors. Cultural experiences are abundant too, many beach vacation spots have easy access to historical towns and cities and tours are easy to come by. This is by far the most popular destination in Cuba for travellers out of Western Canada. It has a little something for everyone; Couples, Families, Friends, Singles, Weddings, Honeymoons and more. 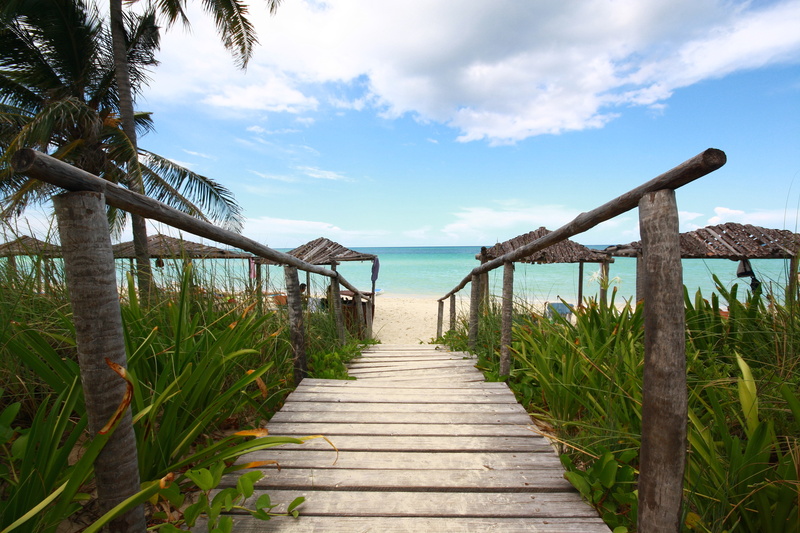 Cuba is famous for its stunning beaches, with Varadero is considered its crown jewel. For those golfers, Cuba’s only 18-hole golf course is located in Varadero. Visit Cayo Blanco, famous for its snorkelling, or the famed Saturno cave for a dip in a fresh water lagoon. The area’s sandy beaches and turquoise waters are something most of the city’s all-inclusive resorts have in common. Whether they offer beachside rooms or luxurious five-star accommodations, they all benefit from scenic Caribbean views and propose a wide variety of activities and fun-filled excursions. 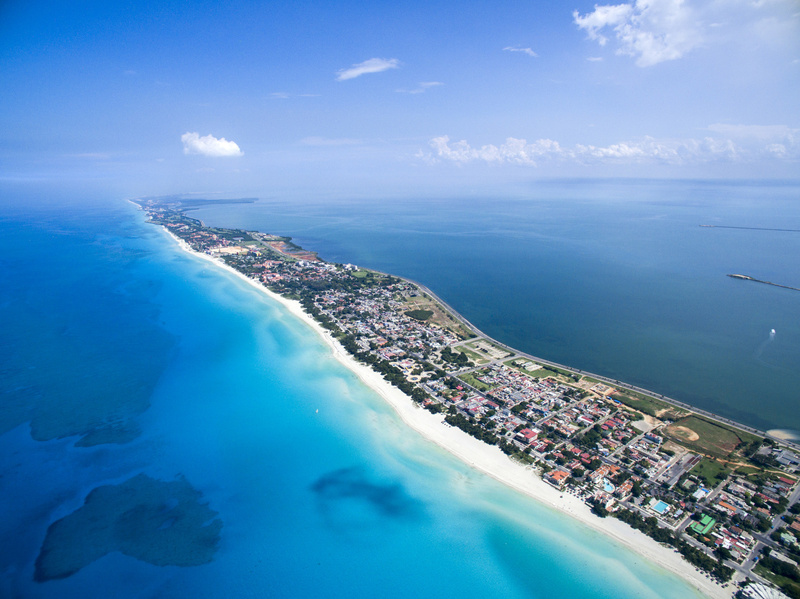 Photo: Aerial view of Varadero, the town stretches out along a peninsula jutting out into the Atlantic Ocean. Make this vibrant city your home base while on vacation or visit it while staying in Varadero. Another great option is to split your stay between Varadero and Havana which is a very popular choice – best of both worlds! Havana’s best hotels are located in and around Vieja Habana (Old Havana), a UNESCO World Heritage Site and one of the most charming places to be in the Caribbean. The city’s colourful buildings and more colourful people will brighten your smile no matter what the weather’s like—though temperatures are generally quite lovely, even in wintertime. The streets of Havana are blissfully absent of billboards, franchise restaurants and corner stores. Normalizing relations with the United States and a gradual shift in policy has allowed Cubans to open private businesses, but don't expect to see any big box chains or megamalls just yet. You will find garages refurbished as barber shops, front porches selling crafts, and fresh coconut cocktails on the side of the road. Small business is booming. Havana seems untouched by American influence, with the exception of the vintage pre-1959 cars rolling around, looking too good for their age. The fact that these golden-age cars are still humming is a testament to Cuban ingenuity. With limited access to goods the developed world takes for granted, Cubans preserve Havana in any way they can, giving the city a spectacular mosaic feel. The buildings and infrastructure in Havana show the archaeological cross sections of whatever materials were available at the time to keep things together. 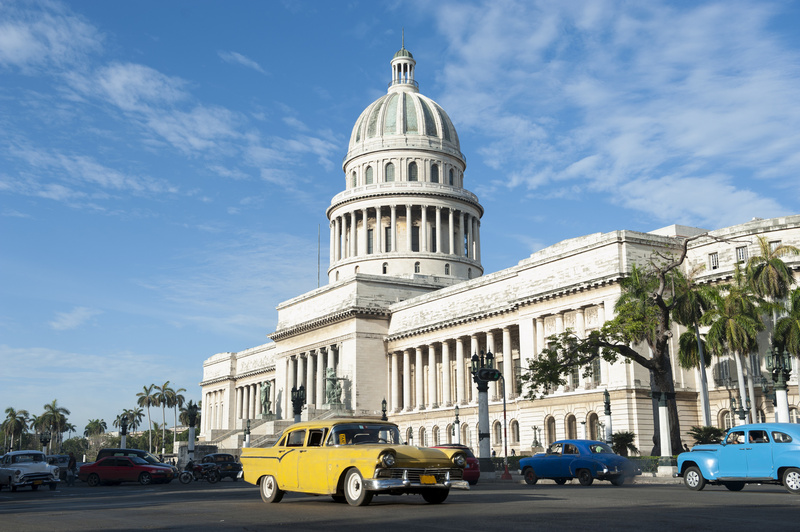 Photo: Havana Cuba Capitolio Building with Cars. 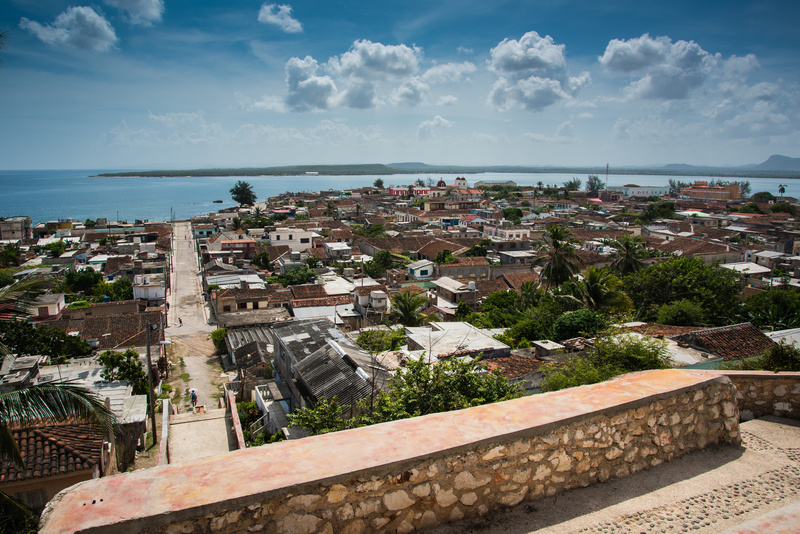 In Holguin, you don't need to go far for a taste of authentic Cuban life. This area is a natural wonder located on Cuba’s northern coast. Catamarans are waiting in the port to whisk you away to the very best snorkelling spots and Jeeps are always ready to lead you into the jungles of Cuba's most adrenaline-filled destination. As you make your way to your resort, you'll pass by banana plantations and travel over rolling hills once home to sugar cane fields. Sharing the road with other travellers and locals, don't be surprised if you pass by mopeds, modern tour buses and horse-drawn carriages called coches de caballo. The resort area of Holguin offers a tropical kiss from the Caribbean and keeps couples and families equally happy with a perfect mix of relaxation and adventure. Be sure to head to Guardalavaca Beach, where you can kick back in the shade of a mango tree and take a short stroll to a sand-floored bar for a bottle of local Cristal, Bucanero or beer. Photo: Cuba traditional colonial village of Gibara in Holguin province. A popular spot for those looking for some relaxation, peace and quiet; an ideal setting for island dreamers and a popular honeymooners destination. Cayo Santa Maria is a peninsula of white sand boasting several hotel and resort complexes in close proximity to Santa Clara and is also perfect for families, couples and groups. The region's pristine reefs also contain healthy corals and large schools of colourful fish. The entire coastal region of cays and bays make up part of the Buenavista Biosphere Reserve. With only a handful of all-inclusive resorts and no major towns, it remains largely development-free. This secluded area is a perfect option if you prefer to lay back and relax on hammocks or beach chairs. Photo: The crystal clear waters at Cayo Las Brujas near Cayo Santa Maria offer great snokelling and driving. Cayo Coco is an island that had remained undeveloped for tourism until the 1990s, it is separated from the main island by the Bahìa de Perros (Bay of Dogs). It is also home to one of the largest colonies of pink flamingos in the world. 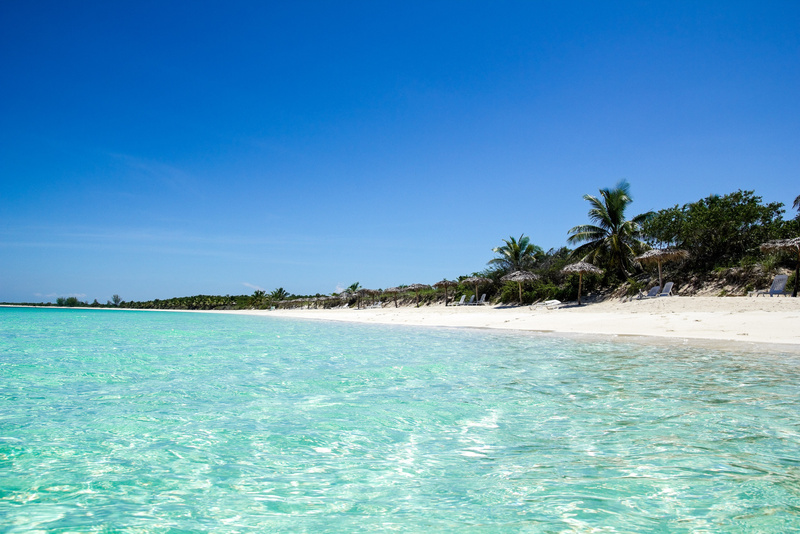 Resorts and hotels here are modern, and nearby Cayo Guillermo’s beaches are considered among the most beautiful in the world thanks to their fine white sand. There are several resorts on the main island and a few more on its tiny neighbour to the west, Cayo Guillermo. Perfect for those seeking to get away from it all, these two islands have very little development on them besides the resorts. What’s more, getting from the airport to your hotel generally takes no longer than a half an hour. Photo: Look out onto a beach in Cayo Coco. The white sands is inviting you!